Primitive Baptists constitute one faction of the Baptist denomination. Sometimes referred to as “Hard-shells” or “Old School” Baptists, the Primitives trace their origins as a distinct religious movement to the first half of the nineteenth century, when debates among Baptists regarding the efficacy of recent practical developments in faith and worship began to erupt into denouncements and divisions. Such developments included the use of instrumental music during worship services, the rise of professionally trained clergy, the institution of Sunday schools, and the decision by many local churches to provide financial support to missionaries. Many Baptists viewed these developments as unwelcome and inappropriate innovations that deviated from the traditional and more simplistic faith and practice of earlier Baptists. In Mississippi, where Baptists had settled since the late eighteenth century, the divisions between Primitives and “Regular” or “Missionary” Baptists can be traced to the 1820s and 1830s, when the animosity between opponents and supporters of missionary funding began to divide the denomination. Although Baptists are well known for their highly localized governmental structure, early nineteenth-century Baptist churches in Mississippi and elsewhere commonly formed loose local associations. Local churches maintained “fellowship” with others in their association, voting to “disfellowship” a church if a majority of the association’s member churches felt that the offending group had deviated from Baptist faith and practice. In 1824 Mississippi’s Union, Pearl River, and Mississippi Associations joined together to form the state’s first Baptist convention. Even as the convention was forming, debate about developments in faith and worship was creating fissures in the increasingly fragile alliance. Only five years later, the disagreements resulted in the convention’s dissolution. In 1836, as the second statewide Baptist convention was being born, the Buttahatchie Association and several local congregations refused to join on the grounds that they could not fellowship with missionary-supporting churches. In 1838 Buttahatchie withdrew fellowship with several other churches over their support for Sunday schools, and in 1839 the Yazoo Association disbanded as its member churches could not agree on a unified stance either for or against missionary work. The Yazoo Association’s antimissionary churches then formed the Primitive Association later that year. The next year saw the founding of the Loocsascoona Primitive Association, which included four churches that had withdrawn their membership from the Yalobusha Association over the missionary issue. Another dissenting church from Yalobusha joined the Primitive Association. In 1841 the Tallahatchie Association disfellowshipped all churches who supported Bible, tract, temperance, or missionary groups or who supported the institution of Sunday schools. By 1846, as the Mississippi Baptist Convention joined the newly created Southern Baptist Convention, the state’s Primitive Baptists steadfastly refused to fellowship with the “modernists,” choosing instead to retain a loose bond among several associations and independent congregations. This organizational scheme continued through the first half of the twentieth century. By the 1950s, however, a trend of associational independence was established, as many Primitive Baptist congregations withdrew from their associations and most newer churches formed outside any association. This trend persists. 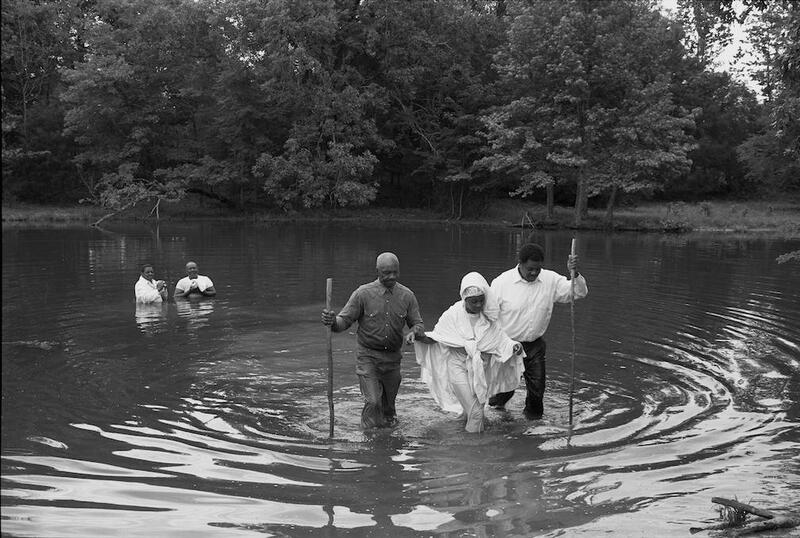 Because of a lack of overarching statewide authority or organization, accurately measuring the number of Primitive Baptists in Mississippi is difficult; however, as of 2016, the state had roughly three dozen Primitive Baptist churches. Today’s Primitive Baptists maintain the distinctive faith and practice of their forebears. They are composed of independent and fully autonomous local congregations who elect and call their own ministers. These clergy members (known as elders) receive little or no theological training and are expected to maintain full-time secular employment to support themselves and their families. Deacons are the only other recognized church officers. Worship services exclude instrumental music, though a cappella singing of hymns is frequent. Unlike most Baptists in Mississippi, Primitives still use wine during their communion services and practice foot washing as a part of the communion rite. Modern-day Primitive Baptists also retain a prohibition on church-funded missionary efforts, Sunday schools, and special age-oriented church groups. The vast majority of Primitive Baptists prefer the King James Version of the Bible.